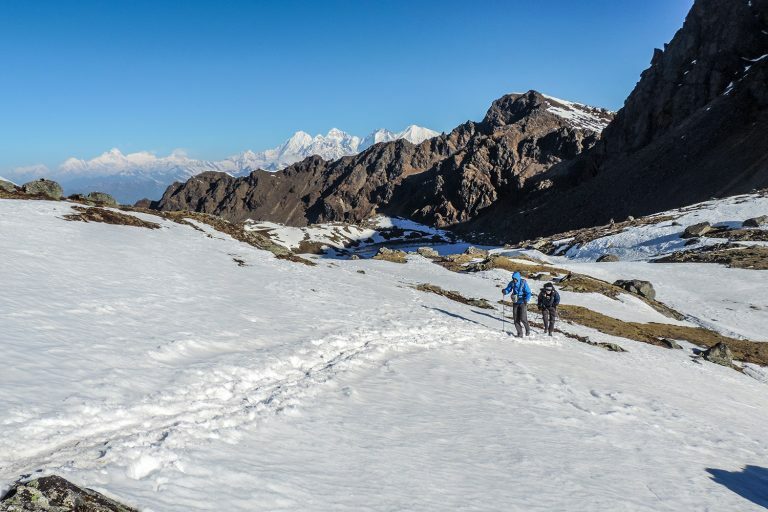 This Langtang-Gosainkunda-Helambu trek combines the unspoilt and remote Langtang Valley with sacred lakes at Gosainkund. 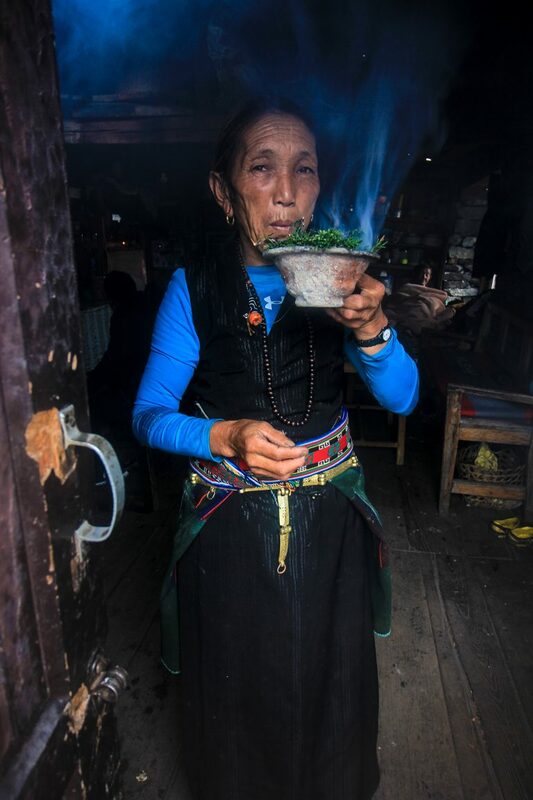 Starting at the Sherpa village of Syabrubesi on the edge of the Langtang National Park, you climb through beautiful thick oak and rhododendron forests up to Langtang village. Home to Himalayan black bear, the goat-like Himalayan tahr, rhesus monkeys and red pandas, there are even stories of Yeti sightings here! At Kyangjing Gompa you get close up views of Langtang Lirung (7246m) and other mountains that separate Nepal from Tibet. Backtracking for a day to the village of Lama Hotel, you cut across to Syabru, a village on the way to Gosainkunda. Climbing through the forest to a high plateau, you come to the high and sacred lakes where in August every year, thousands of pilgrims come here to bathe in the cold waters. Descending through lush forests you reach Tharepati and the Sherpa village of Melamchi Gaon, villages on the Helambu Circuit. Trek Grade: This trek is grade 3 most of the way as you are walking typically 5-6 hours along good trails up to 3500m. However, there are a couple of days that are a little more challenging when you go to Kyangjing Gompa (3800m) and Gosainkunda (4165m) but neither day should pose too much problem as the trails are good. Still could not decide if you want to go on this trek? Read the experience of Elena Swartz on this trek. 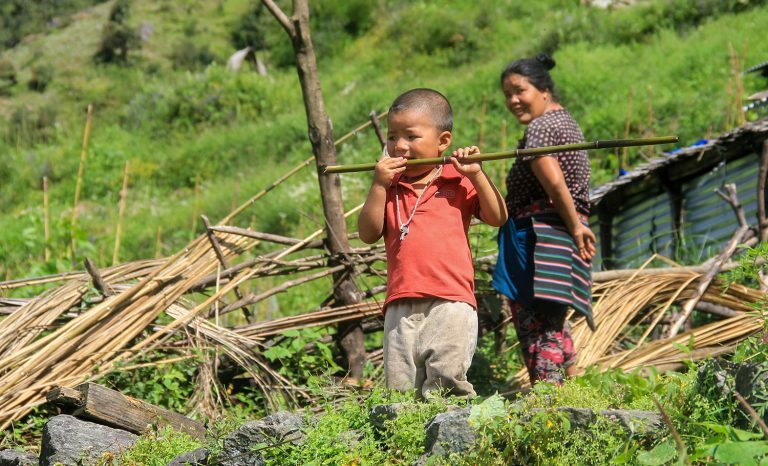 On the way to Langtang, you stop at a village in Nuwakot and stay with a family in a homestay where you can get an insight into the local way of life in a village in the mountains. The road trip up to Syabrubeshi offers some spectacular views of Ganesh Himal, Langtang Ri, Langtang Lirung, Naya Kangma, Dorje Lakpa and various other mountains. It can be a rough and rocky ride, but as you climb, the mountains of the Langtang region become closer and bigger. 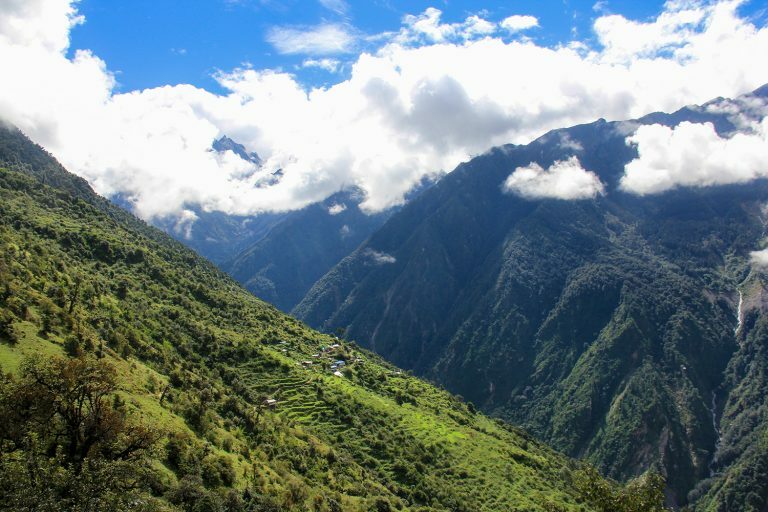 The trail from Syabrubesi to Lama Hotel (the name of the village, not the name of the lodge) follows the Langtang Khola and is very scenic. You walk through the dense forest where you might see wild boar, Langur monkeys, Red Pandas or even Himalayan black bears. 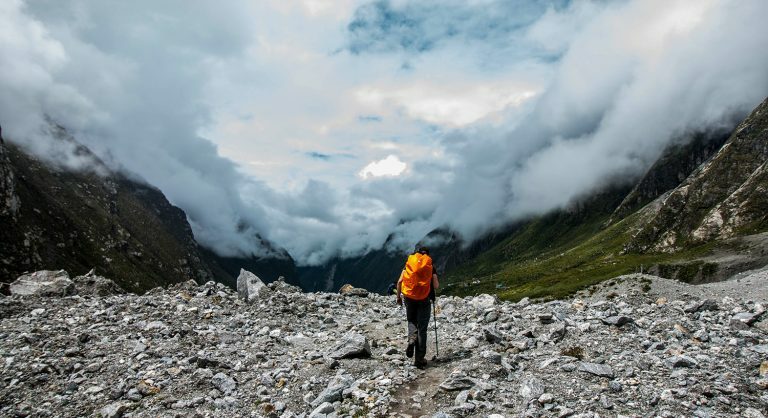 After crossing a bridge over the Langtang Khola you climb a steep trail to Lama Hotel. Continuing up from Lama Hotel you can start to enjoy the mountain landscape, accompanied by the sound of water as you pass many waterfalls. As you reach the green meadows of Ghoda Tabela (‘horse stable’), you start to see the white peaks of the Langtang range. Your trail climbs up the widening valley and passes a few temporary settlements used by herders. Passing a Buddhist monastery, you reach Langtang village. Completely wiped out by a massive avalanche that followed the earthquake in April 2015, the village suffered an estimated 310 deaths, including 176 villagers, 80 trekkers and 10 army personnel. Here the village is recovering and we stay here to help support the local community that has rebuilt lodges that were destroyed. Continuing to Kyangjin Gompa, this is a principal monastery in the region. You pass by water mills, prayer wheels, chortens, and mounds of rocks with holy inscriptions carved on them. You pass the largest mani wall in Nepal. This is made of stone with prayers written on them. You have time to explore the Buddhist shrine in Kyangjin Gompa and surrounding areas. This mountain separates Nepal from Tibet and is part of a series of high peaks including Shishapangma Mountain (8013m) and Porong Ri Peak (7292m). It was climbed for the first time by a Japanese expedition team in 1981 and since then is a popular climbing peak. 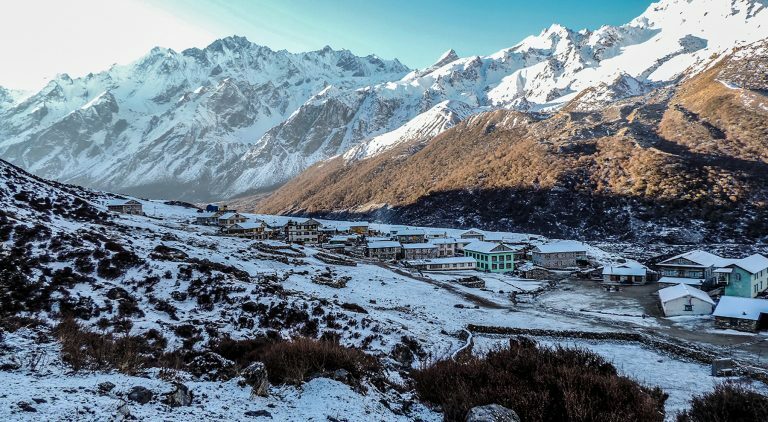 From Kyanjin Gompa Monastery you can hike to Kyanjin Ri to admire the views Langtang Lirung I (7246m), Langtang Lirung II (6581m) and Nayakhanga (5846m). The view of Lirung Tsang Glacier, one the biggest glaciers in the Langtang range is impressive. Retracing your steps to Lama Hotel, most of the day is downhill through forests and Tamang villages. 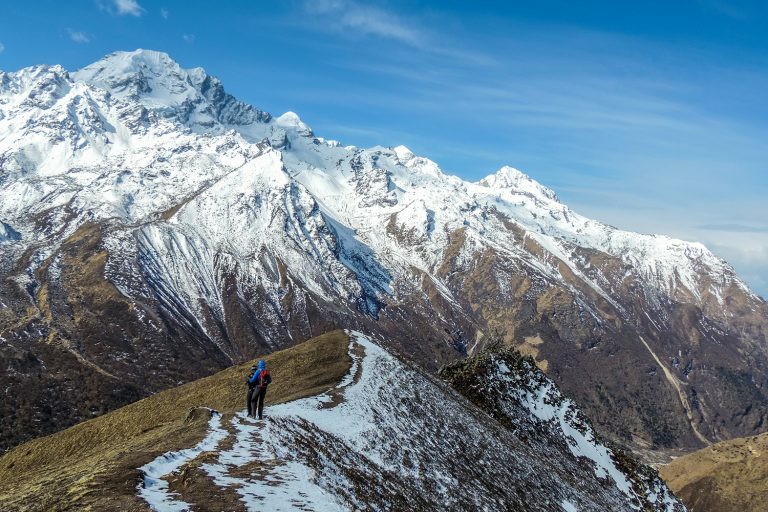 Climbing to the Rimche Village, from here you descend to the banks of the Langtang Khola and continue on an easy trail to Bamboo, to start the ascent to Landslide Lodge. From here you continue to Thulo Syabru. You start to climb through dense pine and rhododendron forests before passing the Durbin Danda. Along the way, you get an excellent view of the Tibetan mountains. Passing Shin Gompa or “Chandanbari” as it is also known as this village is named after the monastery here. Contouring up around the mountainside through the forest takes you to a path along the top of a ridge from where the route opens up to alpine meadows that is the summer is filled with animals. On a clear day, you can see fine views of the central Himalayan Range from the western Annapurnas to the eastern Langtang range. You continue to Lauri Binayak village where you stay the night. Hiking along the trail that was constructed by local people that leads to the Trisuli River, you come to where the mountain slope drops into a lake. Continuing on, you come to a second lake and then a third, which lies by the village of Gosainkunda inhabited by Tamangs and Bhotias. Today is quite a long day. After an early start, you reach the top of Laurebina La Pass (4610m). Here you have very good views of Ganesh Himal, Manaslu Himal and Langtang Lirung. You then descend steeply to Phedi (3630m) and Gopte (3430m), going up and down until you reach a ridge where you find Tharepati. From Tharepati the trail goes east and switchbacks steeply down a ravine. As you go down the vegetation changes to large fir and oak trees, and as you descend further, scrub bamboo. 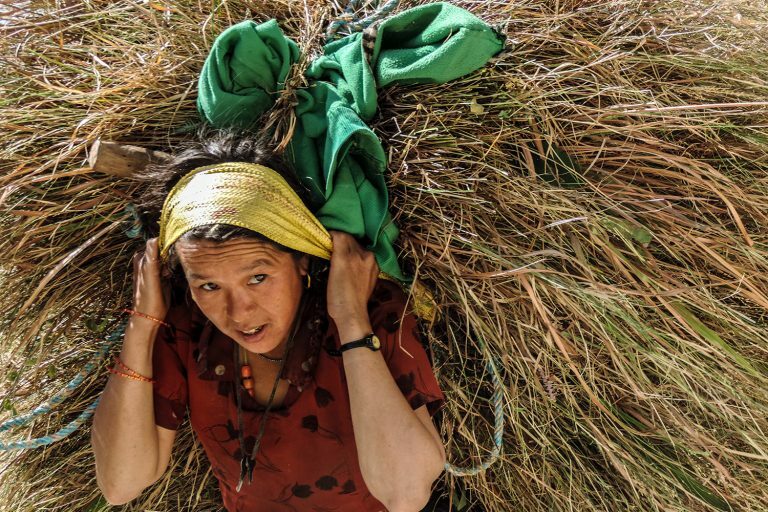 You reach the large Sherpa village of Melamchi Gaon with its fields of barley, corn and potatoes. The little gompa has prayer flags flapping in the front, brightly painted walls and statues of Guru Rimpoche and his consorts Sakyamuni. You come down quite a steep trail from Melamchi Gaon, descending to the Melamchi river valley. This river is the main source of water for Kathmandu. Passing a little gompa, you continue down the valley to the all-season road-head at Timbu. This is a Tamang village where you can find a few little shops and a school. You are picked up here and then driven back to Kathmandu. Depending on the road conditions, this should take about four hours.